We stayed there four 4 days. Place is quite, even being next to I-17. I do like the dog pins, did not have problems there. Easy to get to, shopping is close. Easy to get around. No traffic. Rock drive thru, con rest patio, with picnic table. Park office does have short hours. If you arrive late you can check the office door for available spots. Does have small pool and game room. I would stay there again. Cost was $43 a night with Good Sam Card. 36 foot with toad. Used pull thru. This is a very nice park, quite but convienient to everything. Pull thru for short timers, nice backins for longer term snow birds. Nice pool and community rooms. WiFi is pay for but I wouldn't rate a park on that. Stayed to take in a couple Spring Training games. Dog park area was good size, some people do not pick up after their dogs so my husband was kind enough to do so. Sites were good size but facing your neighbor was odd, no privacy. We did have nice neighbors that faced us luckily. On the other side the people were a bit noisy after quiet time & came and went at odd hours with a very loud truck(seemed to be living there maybe full time). Sites were not very well taken care of & were not cleaned before guests arrived, we left it cleaner than we found it. We would stay here again if we could choose our site!!! Our space was in corner & we had lots of freeway noise even though park has sound walls. Most often you will not get issues resolved because the office is closed. When you arrive you learn WiFi is through tengo. When you realize tengo isn't working you go to the intended office and learn it is closed . Why this park is so crowded is a mystery . This park is older and run down. Spaces are way small and you feel like you are sitting on top of each other. Very nice staff, helpful and cherry. Couldn't use our water filter, due to faucet too short. Had to move picnic table to be able to open door to RV. Convenient location though. Pricing too high for amenities. No cable. 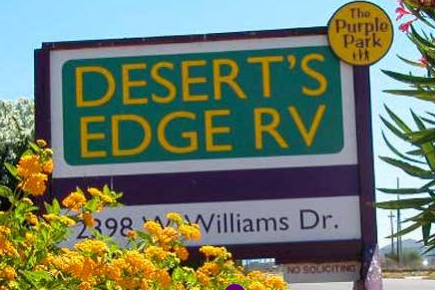 A Desert's Edge RV Village you will experience sunny days, friendly neighbours, and easy access to many local attractions! This award winning park is perfect for campers of all ages and welcomes travelers, families, students and snow birders. 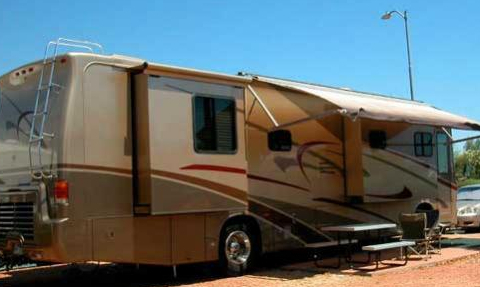 All of our RV sites are full-hook-up and come equipped with stained, concrete patios, picnic tables and wireless internet. Our desert landscaping provides both privacy and beauty, with a few orange trees to make you smile. Our economy sites are fit to accommodate smaller rigs plus one vehicle. Whereas our premium and premium deluxe sites can generously host big rigs and two vehicles. Our amenities include a heated pool and spa, fitness room, game room, playground, basketball court and book exchange and wireless internet. 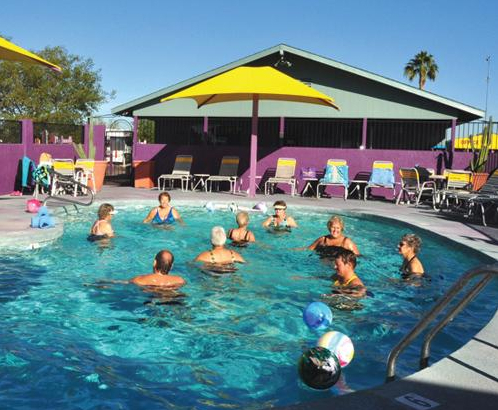 Depending upon what our guests request, we also offer monthly breakfasts, weekly game nights, social hours, and daily water exercise sessions. We know how important your pets are to you, and they too can enjoy their own special treatment at our park! Our Pet Grooming Area will ensure they are always looking their best. 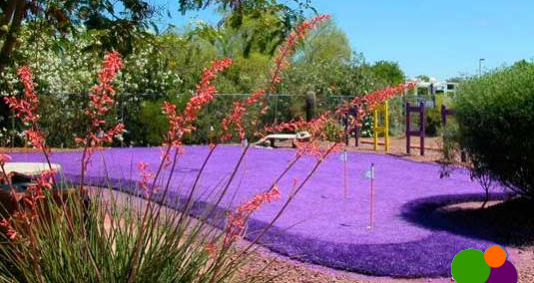 There are numerous attractions, entertainment, shopping and dining in the Phoenix area! From our park there is easy access to several freeways, making us close to downtown Phoenix, Peoria, Glendale, Surprise, Sun City and Anthem.